They wanted to make a difference to people who had health challenges; many said they were influenced by past experiences - either the memory of a family member’s suffering or they were personally touched by the care they received as a patient. Sadly, as happens to many people, the initial reasons for selecting a job collide with the reality of working in it. The heavy load of bureaucracy, overwork, burnout, reporting procedures, legislation, and challenging patients have often made them lose sight of their Higher Purpose. Even in healthcare, showing up for work can become a grind in itself. 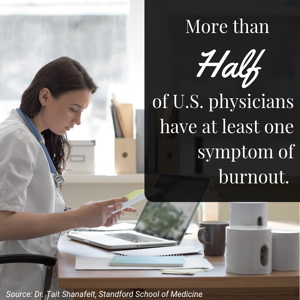 Dr. Tait Shanafelt, associate dean at Stanford School of Medicine reported that, "more than half of U.S. physicians have at least one symptom of professional burnout." In the typical healthcare environment, staff hunker down to get through the day and don’t have the focus or energy to really connect with co-workers and patients. This is a major cause of declining employee engagement and patient satisfaction scores. Leaders struggle to find a sustainable way to improve those scores - this is often when DH gets called in. One of our core beliefs based on the Science of Happiness is that there is a direct correlation between employee satisfaction and patient satisfaction. It’s not a sustainable strategy to just ask people to be more compassionate to patients if those same employees don’t feel compassion from their colleagues. Only when staff are encouraged to anticipate the needs of their colleagues with compassion and generosity can a culture develop where staff, in turn, share that compassion and generosity with patients. One other pillar in the DH model is measurement: most of us have a self-serving view of our actions. In the absence of measurements, the way someone contributes to their culture is subjective; even the worst employees believe that their actions are constructive because they have good intentions. The adage ‘the road to hell is paved with good intentions’ attests to the gap between what we think we’re doing and how we are actually coming across. To fill that blind spot, we at DH ensure that behaviors are measured in a 360-degree format; with this information, people can ‘see’ how they are perceived by their boss, peers and directs and be coached on how to address these blind spots. 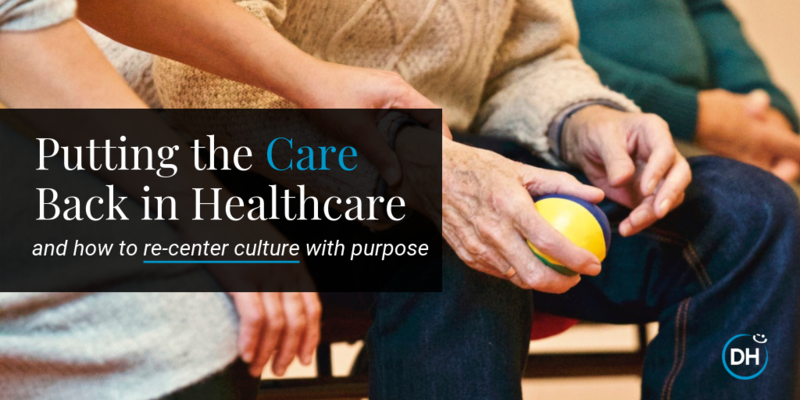 By reinvigorating the passion to “care” within healthcare professions, DH provides all employees with the culture framework where caring for one another is embedded; this ripples into how patients are treated in a way that goes above and beyond the typical patient/customer experience and can revive people’s dedication for their profession. The ultimate beneficiaries are both patients and staff. Ron has been a coach and facilitator for more than 30 years where his focus is on building a values-based culture as the cornerstone to organizational success. 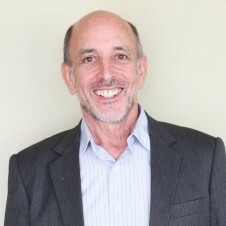 Ron’s expertise is in leadership development – in reconnecting people to the leader within. In that capacity, he has consulted with multi-nationals in Canada, the US, Europe, China and India. He has lead change initiatives, conducted numerous sessions in Strategic Planning and Team Building, and designed and delivered programs in Performance Management. He has coached people from all walks of life – from executives of major corporations to youth.